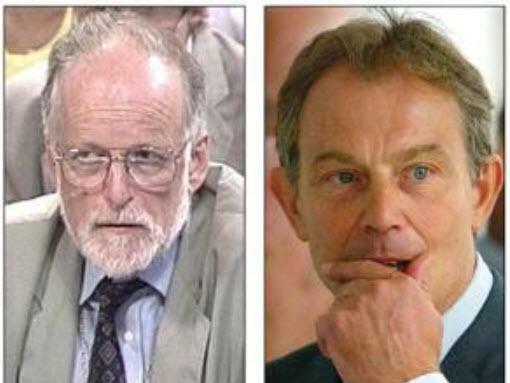 In July 2003, Dr. David Kelly, a British weapons inspector who disclosed to the media that Tony Blair’s government’s dossier on Iraq’s weapons of mass destruction was “sexed up,” was found dead in a public park a mile away from his home. The inquiry into his death concluded Kelly had committed suicide by slitting his left wrist but the mystery surrounding his death has remained unresolved to date, though the obvious beneficiary of his propitious “suicide” was the British intelligence itself. 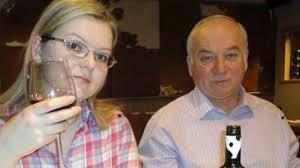 More recently, Sergei Skripal, a Russian double agent working for the British foreign intelligence service, and his daughter Yulia were found unconscious on a public bench outside a shopping center in Salisbury on March 4. 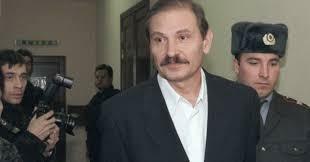 Eight days later, another Russian exile Nikolai Glushkov was found dead in his London home and the cause of his death has not been ascertained yet. In the case of Skripal, Theresa May promptly accused Kremlin of attempted assassination. There are a couple of caveats, however. Firstly, though Skripal was a double agent working for MI6, he was released in a spy swap deal in 2010. Had he been a person of importance, Kremlin would not have released him and let him settle in the UK in the first place. Secondly, British government has concluded that Skripal and his daughter were poisoned with a Moscow-made, military-grade nerve agent, novichok. 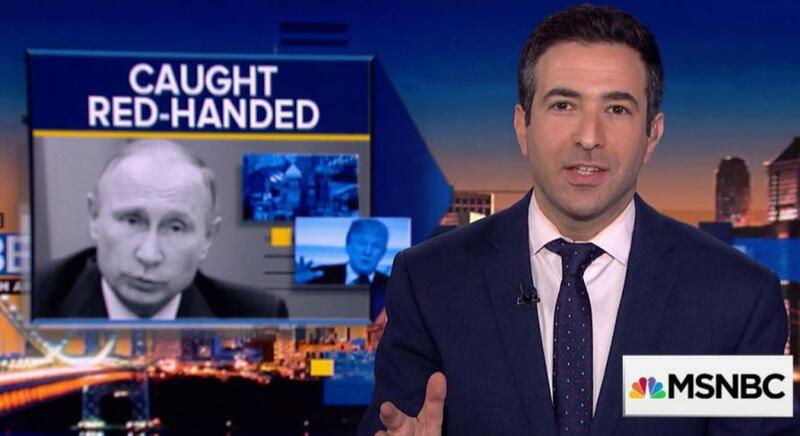 A question naturally arises - why would Kremlin leave a smoking gun evidence behind that would lead prosecutors straight to Moscow when their assassins could have used a gun or a knife to accomplish the task? Leaving mainstream media’s conspiracy theories aside, these assassination attempts should be viewed in the wider backdrop of the Brexit debate. Both NATO and European Union were conceived during the Cold War to offset the influence of former Soviet Union in Europe. It is not a coincidence that the Soviet Union was dissolved in December 1991 and the Maastricht Treaty that consolidated the European Community and laid the foundations of the European Union was signed in February 1992. Reportedly, 79,000 US troops have currently been deployed in Europe out of 275,000 total US troops stationed all over the world, including 47,000 in Germany, 15,000 in Italy and 8,000 in the UK. By comparison, the number of US troops stationed in Afghanistan is only 15,000 which is regarded as an occupied country. Thus, Europe is nothing more than a client of corporate America. No wonder then the Western political establishments, and particularly the deep states of the US and EU, are as freaked out about the outcome of Brexit as they were during the Ukrainian Crisis in November 2013 when Viktor Yanukovych suspended the preparations for the implementation of an association agreement with the European Union and tried to take Ukraine back into the folds of the Russian sphere of influence by accepting billions of dollars of loan package offered by Vladimir Putin. In this regard, the founding of the EU has been similar to the case of Japan and South Korea in the Far East where 45,000 and 28,500 US troops have currently been deployed, respectively. After the Second World War, when Japan was about to fall in the hands of geographically-adjacent Soviet Union, the Truman administration authorized the use of nuclear weapons on Hiroshima and Nagasaki to subjugate Japan and also to send a signal to the leaders of the Soviet Union, which had not developed their nuclear program at the time, to desist from encroaching upon Japan in the east and West Germany in Europe. There is an essential stipulation in the European Union’s charter of union, according to which the developing economies of Europe that joined the EU allowed free movement of goods (free trade) only on the reciprocal condition that the developed countries would allow free movement of labor. What’s obvious in this stipulation is the fact that the free movement of goods, services and capital only benefits the countries that have a strong manufacturing base, and the free movement of people only favors the developing economies where labor is cheap. Now, when the international financial institutions, like the IMF and WTO, promote free trade by exhorting the developing countries all over the world to reduce tariffs and subsidies without the reciprocal free movement of labor, whose interests do such institutions try to protect? Obviously, they try to protect the interests of their biggest donors by shares, the developed economies. Regardless, while joining the EU, Britain compromised on the rights of its working class in order to protect the interests of its bankers and industrialists, because free trade with the rest of the EU countries spurred British exports. The British working classes overwhelmingly voted in the favor of Brexit because after Britain’s entry into the EU and when the agreements on abolishing internal border checks between the EU member states became effective, the cheaper labor force from the Eastern and Central Europe flooded the markets of Western Europe, and consequently the wages of native British workers dropped and it also became difficult for them to find jobs, because foreigners were willing to do the same job for lesser pays, hence raising the level of unemployment among the British workers and consequent discontentment with the EU. The subsequent lifting of restrictions on the Romanians and Bulgarians to work in the European Union in January 2014 further exacerbated the problem, and consequently the majority of the British electorate voted in a June 2016 referendum to opt out of the EU. The biggest incentive for the British working class to vote for Brexit is that the East European workers will have to leave Britain after its exit from the EU, and the jobs will once again become available with better wages to the native British workforce. The developed economies of the Western Europe would never have acceded to the condition of free movement of labor that goes against their economic interests; but the political establishment of the US, which is the hub of corporate power and wields enormous influence in the Western capitalist bloc, persuaded the unwilling states of the Western Europe to yield to the condition against their national interests in order to wean away the formerly communist states of the Eastern and Central Europe from the Russian influence. Thus, all the grandstanding and moral posturing of unity and equality aside, the hopelessly neoliberal institution, the EU, in effect, is nothing more than the civilian counterpart of the Western military alliance against the erstwhile Soviet Union, the NATO, that employs a much more subtle and insidious tactic of economic warfare to win over political allies and to isolate the adversaries that dare to sidestep from the global trade and economic policy as laid down by the Western capitalist bloc. It would be pertinent to mention that though Theresa May’s Conservatives-led government is in favor of Brexit, the neoliberal British deep state and European establishments led by France and Germany are fiercely opposed to Britain’s exit from the EU. They could have hired any rogue agent for the attempted assassinations on the Russian exiles that draws suspicions toward Kremlin. Since the referendum, the British deep state and European establishments have created numerous hurdles in the way of Brexit. The First Minister of Scotland Nicola Sturgeon is demanding more autonomy and control over Scotland’s vast oil and gas reserves and a debate is raging on over a “soft border” between Northern Ireland and the Republic of Ireland which will remain in EU post-Brexit. Instead of a smooth transition to an independent state, Britain is more likely to disintegrate in its effort to leave the EU. Finally, a New Cold War has begun. 25 out of 28 EU member states have recently signed an enhanced security cooperation agreement known as the Permanent Structured Cooperation (PESCO) whose aim is to structurally integrate the armed forces of EU members. Britain along with Denmark and Malta are being left out. The main objective of the recent assassination attempts on the Russian exiles is to intimidate the Conservatives-led government that Britain will be left to fend for itself post-Brexit.